Developers’ plans to expand a shopping centre in south Leeds look set to get the thumbs up from the council next week – despite a “strong objection” from neighbouring Bradford. Land Securities and The Evans Property Group want to add a multiplex cinema, restaurants, cafes and some new shops to the White Rose Centre in Morley, as well as expand the existing Debenhams and Primark stores there and build a new car park. Councillors sitting on Leeds City Council’s main planning panel are set to decide on the plans at a meeting next week. Planning officers are recommending that they give their approval in principle. The developers say some 1,000 new jobs (600 full time equivalent) will be created once the expansion is complete, a further 195 in its construction. 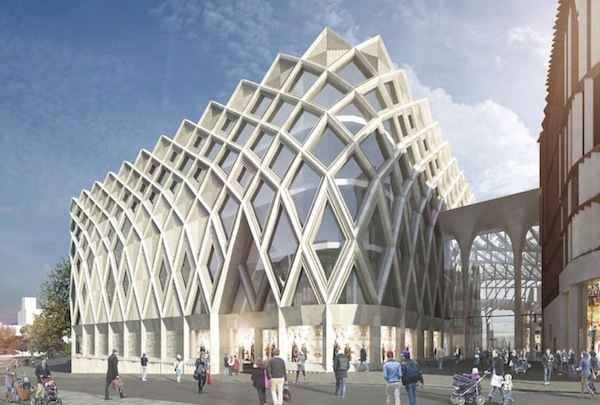 Bradford Council and local investors – including the people behind the Westfield development and the Leisure Exchange – have been saying they’re concerned that the expansion would mean Bradford city centre losing more trade to White Rose. They’re also worried that a White Rose with a bigger retail and leisure offer would pose a potential threat to the long-postponed start of the Westfield development. Not so, say Leeds planners. 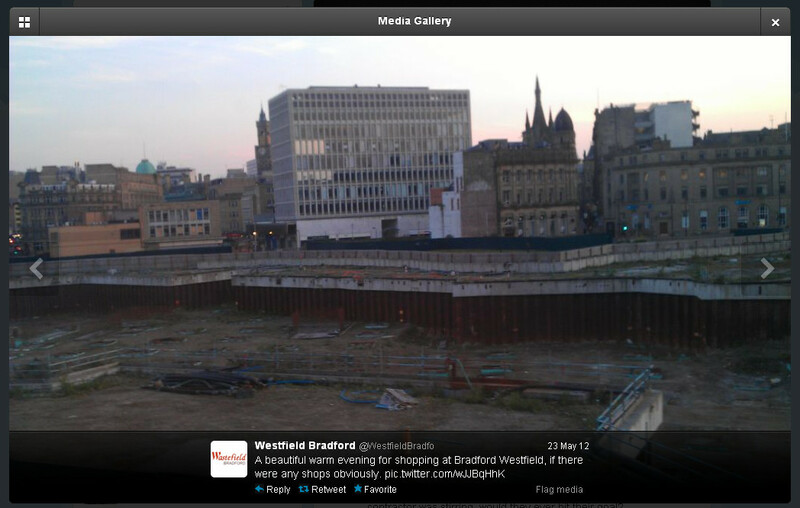 The impact on trade in Bradford city centre would be very small. 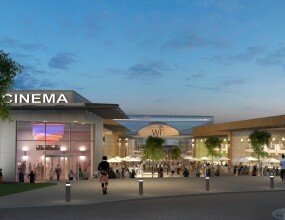 “The (Leeds) Council’s retail consultant has advised that they consider there to be sufficient retail demand across the area as a whole to support the extensions to Debenhams and Primark at the WRSC (White Rose) as well as the existing Primark store and proposed new Debenhams store in Bradford,” says the Leeds planners’ report prepared for next week’s meeting. Another party who’s less than cheerful about the prospect of a bigger, broader offer at White Rose is Hammerson, the developer of the forthcoming Victoria Gate retail and leisure development in Leeds city centre. In its most recent objection Hammerson says the White Rose plans would threaten Victoria Gate’s ability to attract retailers for its first phase and an operator for its planned cinema in phase two. You’d expect Hammerson to be against, but it’s nothing like as adamant as it was two years ago, when it was saying there should be no White Rose expansion considered till 2016 at the earliest – once Leeds city centre had adjusted to Victoria Gate (Eastgate as it was then known) being up and running. An objection to the plans from the Victoria Gate anchor store, John Lewis, was withdrawn on the understanding that there will be a planning condition stipulating that the new floor space at the Debenhams and Primark stores won’t be able to be broken up and reconfigured at a later date. One interesting footnote to the application. 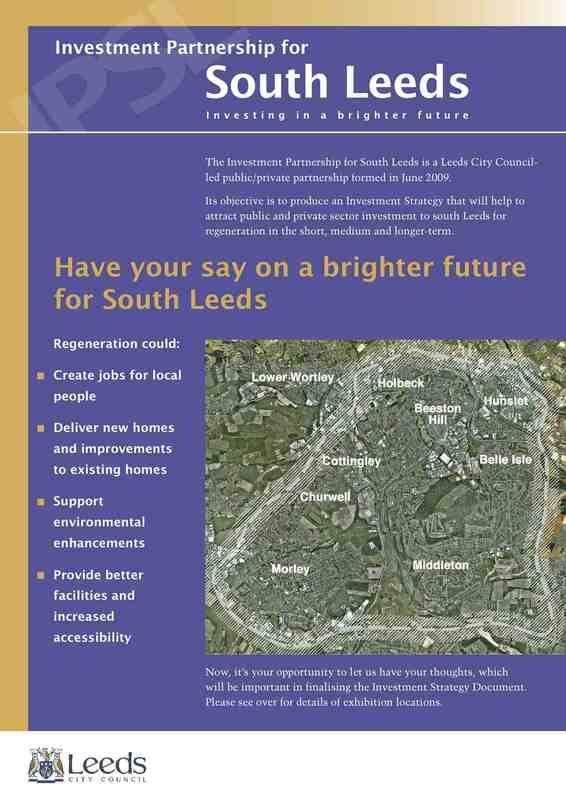 The planners’ report notes that beefing up retail and leisure around White Rose and the Millshaw industrial estate was one of the investment opportunities identified by the council-led public-private “Investment Partnership for South Leeds” back in 2011. That’s a sort of validation of the current plans, isn’t it? In fact it would be almost prophetic … except for the fact that sitting on that partnership’s steering group were … the owners of White Rose and the Millshaw industrial estate – Land Securities and the Evans Property Group – the very people who look set to get planning permission to carry out the expansion. This entry was posted in Uncategorized and tagged bradford, evans property group, hammerson, land securities, leeds, leeds city council, westfield, white rose centre. Bookmark the permalink. Disgraceful! Leeds planners cannot have possibly recommended this, it must be a cover up! The white rose should get a rail station and houses but no, this pathetic council is still aiming at being the best worst council in the country! None of the “wealth” generated by The White Rose seems to make it into Beeston or Morley as it is. It’s very difficult to access if you haven’t got a car and just seems remotely cut off from south Leeds. Would be far better to regenerate Morley town centre, in my opinion, which could relatively easily become an attractive retail and leisure destination.